Be careful what you wish for. As I mentioned in the last report things are changing here in Colorado and will continue to do so. Just how much has not been determined yet but change is coming. Hopefully you have attempted to keep up with what is going on however, nothing is ever as it seems. The Petition to ban the harvesting of Bobcats that was filed with the Colorado Parks & Wildlife in November of last year that was scheduled for January and postponed until March was once again postponed until May in Grand Junction. It is time for a full court press. Comments need to be submitted to oppose this Citizen’s Petition to the Division of Parks and Wildlife at 1313 Sherman Street, Denver, CO 80203. Additionally, one can email the Commissioners at the following email addresses. This is imperative as since my last update there are 3 new Wildlife Commissioners and currently there is no Director of Colorado Parks and Wildlife as our friend and Director Bob Broschied saw the writing on the wall and took a job as the Director of the Arizona’s Parks Department. As I previously said change is coming. When contacting the following Commissioners and acting Director Jeff Versteeg please be respectful, concise and to the point. Talk about management, science and what Colorado Parks and Wildlifes mission and objective is and how it relates to you and your lifestyle. Whoever you know that supports hunting, trapping and fishing needs to take the time to do this. Emails can be sent to dnr_cpwcommission@state.co.us. The Chairman of the Commission is John Howard john.howard@state.co.us. The Vice-Chair is Michelle Zimmerman and her email is michelle.zimmerman@state.co.us. The Secretary is James Vigil. His email is jim.vigil@state.co.us. The acting Director of Parks and Wildlife is Jeff Versteeg. His email is jeff.ver_steeg@state.co.us. Other Commission Members that should be contacted in opposing the petition are Robert Bray (Robert.bray@state.co.us); Charles Garcia (charles.garcia@state.co.us); Marie Haskett (marie.haskett@state.co.us); Marvin McDaniel (marvin.mcdaniel@state.co.us); Eden Vardy (eden.vardy@state.co.us); Luke Schafer (luke.schafer@state.co.us); Taishya Adams (Taishya.adams@state.co.us). Given the amount of social media canon fodder that is going around from the idiot animal rights community there appears to be a fair amount of traction building on supporting this petition to Ban the Harvest of Bobcats. Also looking into what has been going on in other States the movement is trying to alter laws, rules and regulations pertaining to anything that has to do with Wildlife Management. In addition to sending a letter or an email to the Commission personal support by attending the May Commission Meeting in Grand Junction would be greatly warranted. While the agenda has not been set for that meeting the dates of the meeting are May 9th and 10th. Please take the time, take a day off of work, take a short road trip with the wife and kids. We need to show up and support scientific biological wildlife management. This is only a sliver of what is to come down the road. One does not need to testify. Just show up and support. As time gets closer you can get more information on the CPW website about timing and so forth. 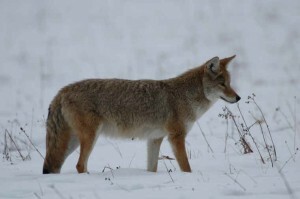 You can also get information and a copy of the Petition at coloradotrapper.com. Go to the Updated Regulations Page. Don’t forget the CTPHA Banquet in Grand Junction on April 27th. For more info and tickets contact Kandy Herrman at 970 379-6024. Also if you have any questions or comments please contact me at dan@coloradoridacritter.com. And a word of caution! Help curtail the stupid, idiotic on-line ranting and raving from so called sportsmen that create an atmosphere of ignorance from their asinine statements. They know who they are. You know who they are. And they are not part of us. They are not for the cause. They are the problem. Please spread the word and help us slay this dragon whether it be from within or from an attack on the outside. Remember the Convention Rendezvous is in Rifle on August 16th and 17th at the Garfield County Fairgrounds. President Gates called the Membership Meeting to order at 11:45 AM on Sunday, February 3rd, at the Event Building at the Lincoln County Fairgrounds, Hugo. A quorum was present. The minutes of the August 26th Annual Meeting were approved as distributed. Treasurer Oleyar presented the annual general fund financial report, which was filed. The Secretary-Treasurer’s written report is attached. President Dan Gates reported that CPW Director Bob Broscheid resigned and a replacement has not yet been named. Jeff Ver Steeg is acting CPW Director, John Howard is temporary Chairman of the Commission, and Dan Gibbs is Executive Director of the Department of Natural Resources. With the changes, CPW may not sponsor any personnel to attend the FTA Trappers College. The four commissioners just appointed by Governor Hickenlooper may be replaced by Governor Polis, as he has asked them to submit applications. The petition to ban the harvest of bobcats is on our website. It was initiated by an individual in Telluride. Under the umbrella organization of Coloradans for Responsible Wildlife Management, we have joined forces with other sportsmen’s associations to hire a lobbyist. The hearing on the petition to ban bobcat harvesting has been postponed to the May Commission meeting in Grand Junction. We need lots of members to attend. Any correspondence or personal appeals to Commissioners must be respectful and informed. Disruptive activity must be curtailed or it will destroy our credibility and turn Commissioners against us. In the legislature, of the bills introduced so far for this session, 18 refer to wildlife issues. George Kortum, a fur buyer, volunteered a donation for advertising regarding the petition to ban the harvesting bobcats. He suggested billboards along I-25 or on buildings facing streets. Wording could be “Hunting and Trapping, An American (or Colorado) Tradition. Vote ….” Scott Cisco said he has a contact for an electronic billboard. Vice President Joe Herrman’s report was given by NW Regional Director Kevin Herrman. The Garfield County Fairgrounds have been reserved for our Rendezvous August 17-18. There will be indoor spaces for vendors, dining, etc. The Herrman’s will be doing Heritage Days again. Joe spoke at a local cattlemen’s group, where concerns about wolves were expressed. SW Regional Director Chris Jurney shared space in his booth at the Sportsmen’s Expo with CTPHA again this year, where they gave away over a hundred CTPHA brochures and Trapper’s Post magazines. He stressed how important collaboration with other sportsmen’s groups is. He is participating in the wolf working group. NE Regional Director Scott Cisco helped for three days at the Stock Show booth and three days at the Greeley Farm Show where he passed out all the fliers he had. CPW support was high. SE Regional Director Ethan Gates picks up the slack for his family. He has been attending meetings and events to represent our association. Metro Regional Director Gary Crawford submitted a written report which is attached. Fur Auction Manager Greg Ashmore said they are replacing a few more of the old racks and have gotten a new trailer. He will dispose of the old trailer. He will enclose “Just Say NO to Animal Activists” fliers with checks to consignors. He distributed the Fur Auction Financial Statement for 2018. Stock Show Booth Manager Don Clifford was unable to attend, but Ryan Clifford reported that even though attendance was down a little, the booth did well. They gave out approximately 500 fliers and Fur-Fish-Game magazines. The Booth’s Financial Report for August 23, 2018, to January 1, 2019, was passed out. Raffle Manager Kacy Herrman has obtained her raffle license and needs sponsors and donations for raffle prizes. She has a list she can email to anyone interested. Finance Committee Chairman Kandy Herrman invited Thomas and Brit Waugh of Agora Wealth Management to attend our meeting and get signatures needed to complete setting up CTPHA’s accounts. The Finance Committee needs reports on all accounts by May 1. The Facebook Committee has been replaced by Stephen Barrington who is improving our outreach through advertising. The CTPHA Sportsman’s Conservation Banquet will be held on April 27th in Grand Junction at the DoubleTree. Kandy will be sending out information to members. Donations for the auction are needed. Hopefully Miss Rodeo Colorado will attend. The meeting adjourned at 1:13 PM. Things have been pretty slow in the Metro District until the Stock Show started. In spite of some of the help at the booth, I again helped with sorting money into useable amounts and making some of the bank deposits. I also attended the Legislature’s Sportsman’s Caucus with our President Gates. Due mostly to the day of the week and time of day, I was unsuccessful in getting anyone else in the district to make it there. January 20th I received an email from a gentleman who says he has two Havahart #1081, 1-door traps for sale. The traps measure 15x15x42 and are advertised on Havahart for $220/pair plus freight. He’s asking $150/pair. Anyone interested, I have his email address and cell phone number. We received two complimentary tickets to a Miss Rodeo Colorado Sponsors Appreciation event on February 2nd in Pueblo, CO. I passed on the tickets to Dan so Ethan Gates and a friend could represent the CTPHA at that event. Bruce Bartow said he would, again, send a beaver pelt to be in the silent auction fund raiser at the same event. Currently our association has 229 members, including 29 life members. Our membership with the National Trappers Association has been renewed. The secretary tries to submit a report for every issue of The Trappers Post, in which she recognizes new members and alerts readers to upcoming events. She will see that the IRS tax report and Secretary of State report are filed on time. The Trapper’s Post will be increasing association magazine subscriptions to $14 per year, beginning with the May/June, 2019, issue. We have been paying $13 per subscription and presently charge $30 for a membership with a Trapper’s Post subscription. Does the Board and membership think we should charge more because of this increase? Bear in mind that we did not increase dues in 2016 when we changed to the Trapper’s Post, which cost $1 more per year than the Trapper and Predator Caller. Since member dues are stated in the bylaws, a change in dues would require an amendment to the bylaws, which requires previous notice to all members. A decision to increase dues must be made in time for notice to be posted on the website and in the July/August issue of the Post before the Annual Meeting at the Rendezvous. It is recommended that, if a dues increase is approved, it take effect with the January/February, 2020, issue of the Trapper’s Post. A change is coming. Here in Colorado after last Novembers elections, some preservationists have decided to make a move and start revamping Wildlife Management and in an attempt to take away opportunity as well as alter the way that we manage and conserve our Wildlife Resources. While Mountain Lions, Bears, Wolves, Sage Grouse and every other animal on the planet is on their radar, the topic of the day is BOBCATS. For those who are not aware, a Veterinarian from Telleride filed a Citizens Petition with the Parks and Wildlife Commission to ban the harvesting of Bobcats for what she determines to be recreational and commercial take. 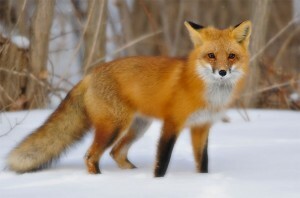 Without getting into the details here you can get a copy of the 7 page Petition on our website at Coloradotrapper.com. Go to the Updated Regulations Page and you can print it off. Originally, the Petition was to be heard in the January Commission meeting but then was postponed due to logistics of opening multiple Wildlife Regulation Chapters which can only be addressed at certain times. The earliest that the Petition will be heard will be March of 2019 and maybe even after that depending on how things play out. Comments can be submitted to the Division of Parks and Wildlife at 1313 Sherman Street, Denver, Colorado 80203 or can be emailed to dnr_cpwcommission@state.co.us. The Chairman of the Commission is John Howard john.howard@state.co.us. The Vice-Chair is Michelle Zimmerman and her email is michelle.zimmerman@state.co.us. The Secretary is James Vigil. His email is jim.vigil@state.co.us. The Director of Parks and Wildlife is Bob Broscheid. His email is bob.broscheid@state.co.us. Other Commission Members that should be contacted in opposing the petition are Robert Bray (Robert.bray@state.co.us); Matthew Burkett (matthew.burkett@state.co.us); Charles Garcia (charles.garcia@state.co.us); Marie Haskett (marie.haskett@state.co.us); Carrie Hauser (Carrie.Hauser@state.co.us); Marvin McDaniel (marvin.mcdaniel@state.co.us); Colleen Peppler (colleen.peppler@state.co.us); Jennifer Taylor (jennifer.taylor@state.co.us). No matter when this is scheduled to be heard it is imperative to have respectful communication with this Commission in order to get them to understand the importance of scientific responsible Wildlife Management and the roll that sportsmen play in that management. If you live in Colorado it is imperative that you get engaged. If you live outside of Colorado we ask that you also comment in opposition to this petition and let the Commission know that you either hunt, vacation, ski, or do business in our State and that you understand the value of Responsible Wildlife Management and what is necessary to conserve the abundant resource while allowing for opportunity to partake in the time tested tradition of hunting, fishing and trapping so that all of Colorado’s residents and visitors alike can enjoy the Wildlife Resources for generations to come. If you are an individual ,great. An association, fantastic. Maybe a Wildlife Manager. Maybe as a resident or non-resident you don’t even pursue Bobcats. It’s not a Bobcat Issue! It is a preservationist, animal rights, we don’t want you to harvest anything issue. 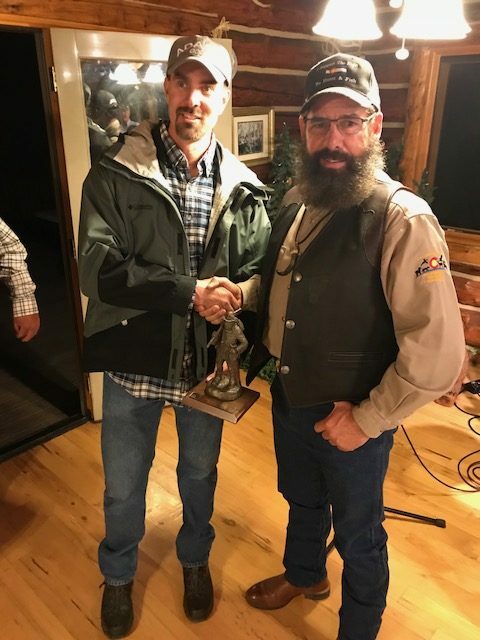 We in Colorado are formulating a strategy and we are working with multiple groups including, NWTF, RMEF, BGF, Colorado Bowhunters, Backcountry Hunters and Anglers, the FTA, the NTA, Sportsman’s Alliance, SCI, and tons of other groups and sportsmen as well. While the Petition holds little water and the misinformation that is layed out we are not taking this lightly and we will do whatever is necessary to stop what is only the beginning of things to come. Colorado is not the Colorado of the Past but it is mandatory that we address this in a manner that shows collaboration and solidarity in the Sportsmen community. If anybody has any comments or questions please email me at dan@coloradoridacritter.com. Our CTPHA Banquet is in Grand Junction, Colorado on April 27th and for more information you can contact Kandy Herrman at 970 379-6024. Your association is active and participating in many functions from the ISE Sports show, National Western Stock Show, Colorado Farm Show and our big February Fur Auction. If you do not engage, participate or help spread the positive word, who is to blame?